Your $120.00 ticket includes wine pairings; tax & gratuity extra. You can add in the film the meal is based on for just an additional $5.00! Please note that due to the restrictions of the event space, we cannot accommodate dietary restrictions. John Sundstrom is a graduate of the New England Culinary Institute and completed a four-year apprentice with classically trained sushi chef Yasuyuki Shigarami. After eight years of cooking in Seattle, Sundstrom decided to spend a year traveling and learning—first he set off to Japan to taste and research Japanese food and culture, then he was on to a working tour of New York and San Francisco’s finest kitchens, a sort of “Culinary Graduate School.” After returning to Seattle, he was named one of Food & Wine’s Best New Chefs of 2001 while at the W Seattle’s Earth & Ocean. 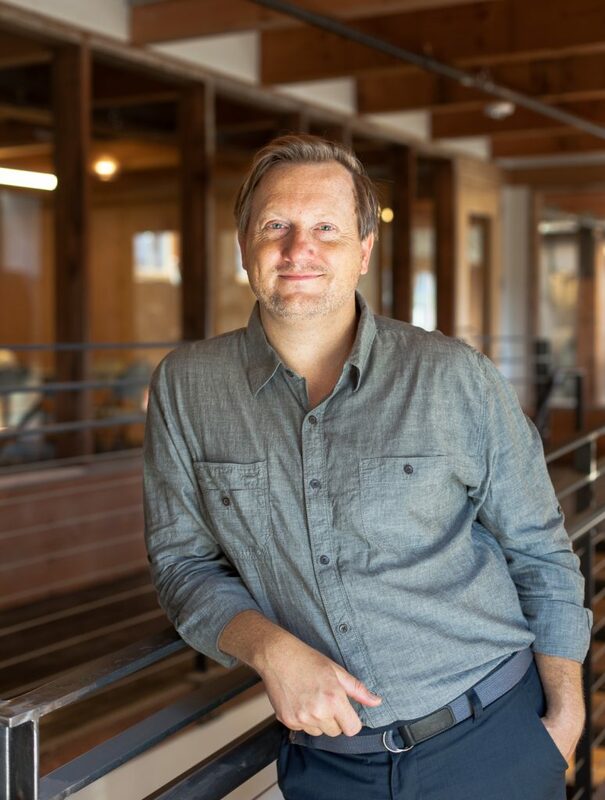 In 2003, Sundstrom opened Lark in Seattle’s Capitol Hill neighborhood with his wife, JM Enos, and partner, Kelly Ronan. 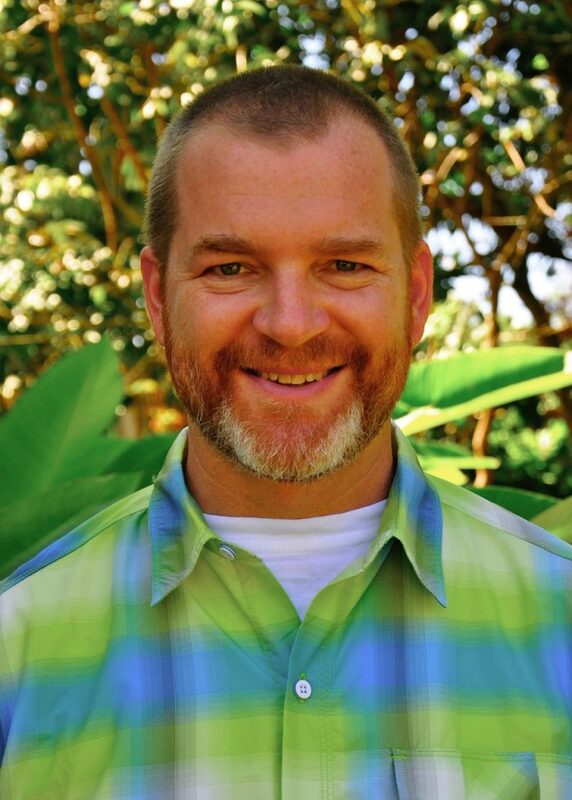 In 2013, he published his first cookbook, Lark: Cooking Against the Grain, which was awarded an IACP Judges Choice Award. In December of 2014, Sundstrom relocated Lark to a larger space, and opened two additional spots in the same building: Bitter/Raw and Slab Sandwiches + Pie. Sundstrom has been featured on the Food Network’s Best Of and Food Nation as well as the PBS original series Chefs A’ Field, which was nominated for a James Beard Award. Sundstrom himself won the James Beard Award for Best Chef Northwest in 2007, and was a semi-finalist for the James Beard Award Outstanding Chef USA in 2014. He has participated in multiple Cochon 555 competitions, and won twice in Seattle. In August 2016 John was a session leader at MAD 5 in Copenhagen. Canada’s first Top Chef, and multi-award winning culinary artist, Chef Dale MacKay had been a protégé to world renowned Chef Gordon Ramsay at his restaurants in Tokyo, New York, and London and was Executive Chef at Lumière in Vancouver managed by celebrated New York Chef Daniel Boulud’s Dinex Group, and most recently the former Executive Chef/Proprietor of Ensemble Restaurant and Ensemble Tap in Vancouver. 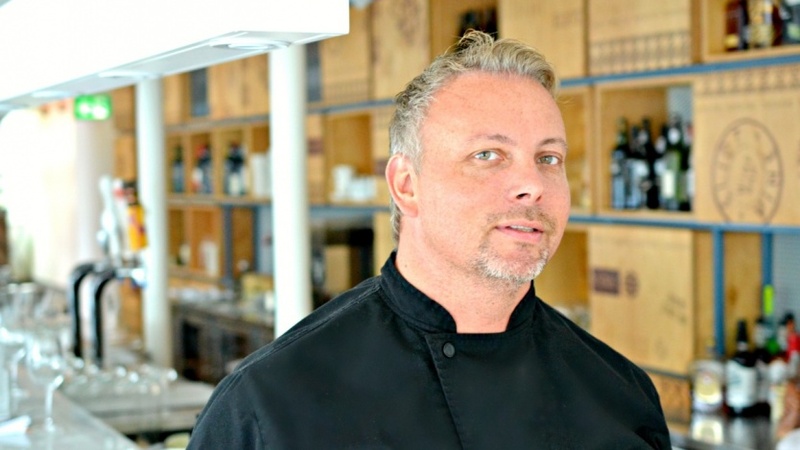 As knowledgeable in the business of restaurants as he is in the cuisine, Dale has either led or been an integral part of 13 restaurant openings under the likes of Gordon Ramsey and Daniel Boulud. As former Executive Chef/Proprietor of Ensemble Restaurant and Ensemble Tap, Chef MacKay had offered Vancouverites an entirely new and exciting dining concept, combining classic French techniques with modern influences and flavor profiles from around the world. And he plans to do no different in Saskatoon. Chef MacKay was born in Saskatchewan, Canada, and, like most great chefs, knew at an early age that he was destined for the kitchen. Before being handpicked by maverick Chef Gordon Ramsay of Hell’s Kitchen fame, Dale spent time as a private chef in Rome, in BC’s Queen Charlotte Islands as an Executive Chef with the elite West Coast Fishing Club. Dale’s experience as Gordon Ramsay’s protégé included time in his famed kitchens at Claridge’s in London, the three Michelin starred Restaurant Gordon Ramsay in London, and in the Conrad Tokyo Hotel. His final post before moving to Vancouver was as Executive Sous Chef at Restaurant Gordon Ramsay at The London NYC Hotel in New York City. There, Dale perfected his craft – overseeing a staff of 65, two restaurants, (Restaurant Gordon Ramsay and Maze), a private dining room and room service. At just 26 years of age, Dale was an exemplary Chef and kitchen manager and his talents contributed significantly to the two Michelin Star and ‘Best New Restaurant’ (Zagat) rating of the properties. Chef MacKay had been the culinary tour de force in the well-praised Lumière kitchen when he arrived from New York City in the fall of 2007. Under Dale’s direction, Lumière built on its un-broken tradition of Relais & Chateau class cuisine and service standards and was awarded the Grand Chef title at age 27 which made him the youngest in the world at the time. Other awards to he credit were AAA’s Five Diamond, Mobil’s Four Stars and Traditions et Qualite’s highest honors. Chef Dale opened “Ayden Kitchen & Bar” which is named after he biggest inspiration his son Ayden in November 2013 in his home town of Saskatoon in a beautiful heritage building. Over the last year Ayden Kitchen and Bar has been rated #10 in Canada by Vacay.ca and People’s Choice for best new Restaurant by EnRoute Magazine in 2014.In 2015 Dale and management group opened up a new Italian Restaurant called “Little Grouse on The Prairie” Just down the street from Ayden Kitchen & Bar. Chef Ray Bear, an award winning, nationally known chef, is a prophet of local and creative cuisine. From his home base in Halifax, Nova Scotia, Chef Bear has been a major force in shifting the food culture from one of cosmetic appeal to a true cuisine based on fresh, sustainable, flavorful food. For two decades Chef Bear has passionately studied his craft. From his education at the Culinary Institute of America, through hands on training at top restaurants such as Radius, Aliena, August, Nobu and Michi, he has refined his mastery in the kitchen. Bear was named Chef of the Year and Culinarian of the Year for Nova Scotia (2005). He led the opening of Gio in the Prince George Hotel and Bear Restaurant. Not only is his talent evident in the kitchen, he has been an ambassador throughout Canada and abroad, on both television and in print. He regularly travels to promote Atlantic Canadian Lobster and other indigenous products. As an Indigenous person, he has constantly made choices to promote traditional food and keep the flavor of his ancestors alive and well in Canada. The stars aligned in summer of 2015 when Bear joined forces with his life partner, Saronn Pov in creating Asian-fusion restaurant in North End Halifax. Their hopes and dreams surpassed when Chronicle Herald Bourgeis Gourmet awarded Studio East for Restaurant of the year 2015 . Now days you can catch Bear at Studio East shucking an icy plate of fresh oysters for regulars alike. Casual but exquisitely crafted food. Imagination rules. A spinning globe of a menu. The vision of a locally sourced, globally ambitious restaurant is balanced by the depth of experience that these two chefs bring to the table. Chefs Ray Bear and Saronn Pov are food explorers and pioneers. They have brought Halifax the best of global cuisine that is fun and unpretentious. The Dartmouth North Community Food Centre Community Chef is passionate about food. Born in the sleepy university town of Sackville, New Brunswick, Andru grew up amidst the hustle and bustle of Toronto where he became inspired by the diverse tapestry of multicultural flavours. Since 2007, Andru has been creating savory and healthy meals at The Saturday Free Clinic in Halifax, a volunteer organization that provides free alternative health care to people living on low incomes. Andru attended the Canadian School of Natural Nutrition in Halifax in 2010, where he earned a diploma as a Holistic Nutritional Consultant with honours. With over 20 years of experience working in the restaurant industry (2 Doors Down, Chives, Il Mercato and La Vecchia in Toronto), Andru brings a wealth of knowledge about whole foods and how to combine flavourful herbs and spices into nutritious and delicious meals. 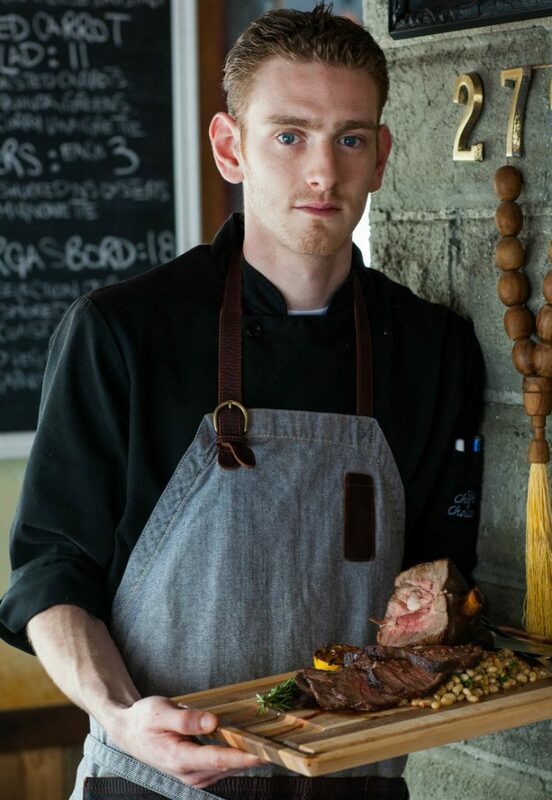 Born in Halifax, Nova Scotia, Mark Gray has been working in the culinary industry since age 16. Beginning his climb at the beginning, he started washing dishes at Il Mercato Trattoria under Chef’s Maurizio Bertossi and Martin Ruiz Salvador. After graduating high school, Mark moved to Alberta, where he became Sous Chef at The Drake Inn and at The Wood Steakhouse & Grill, under back-to-back Gold Medal Plates winner Chef Michael Lyon. Moving back to Halifax in 2009, Mark became the Executive Chef at The Hilton Garden Inn, Halifax Airport, at the age of 20. From there, he decided to take a step back to continue learning the craft, and began working under Chef Graeme Rupple at The Brooklyn Warehouse. 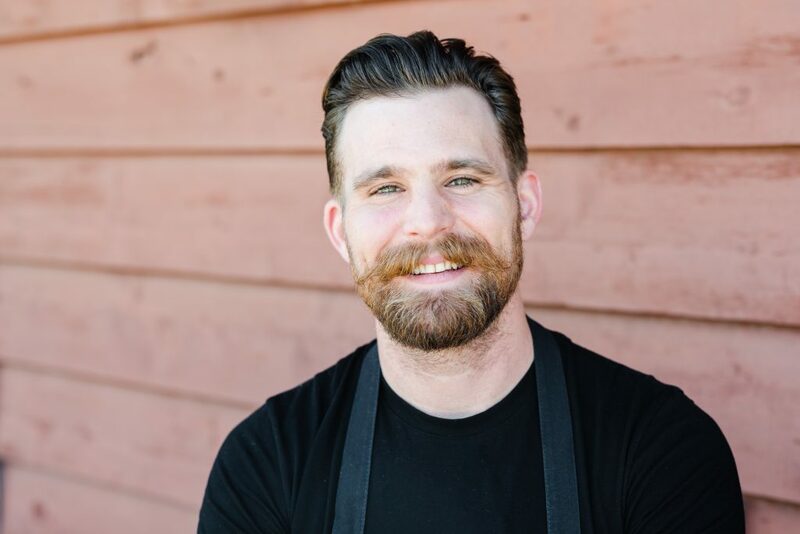 He earned his Canadian Red Seal Certification, and completed the Culinary Arts program at Nova Scotia Community College, before becoming Executive Chef at The Brooklyn Warehouse. The popular Halifax restaurant has won the title of Best Restaurant in Halifax in The Coast’s Best of Food Awards in 2012, 2013 and 2014. His second endeavor, ACE Burger Co., has taken the title of Best Burger, Halifax in 2013, 2014 and 2015. Independently, Mark has also won Nova Scotia Association of Chefs and Cooks’ Culinarian of the Year in 2014 and Chef of the Year in 2015. In 2015, Mark became Executive Chef at his third establishment, Dartmouth-based beer bar and eatery, Battery Park.